The neck and shoulders are a common area where tension is most visible. After all, many working class people spend majority of their day slouched over the computer screen or commuting through public transit looking down at their phones. And daily visits to the chiropractor or massage therapist costs a pretty penny. It would be nice to have an alternative that doesn’t break the bank. That’s where neck and shoulder massagers come into the picture. There are a ton of variety of products to choose from. 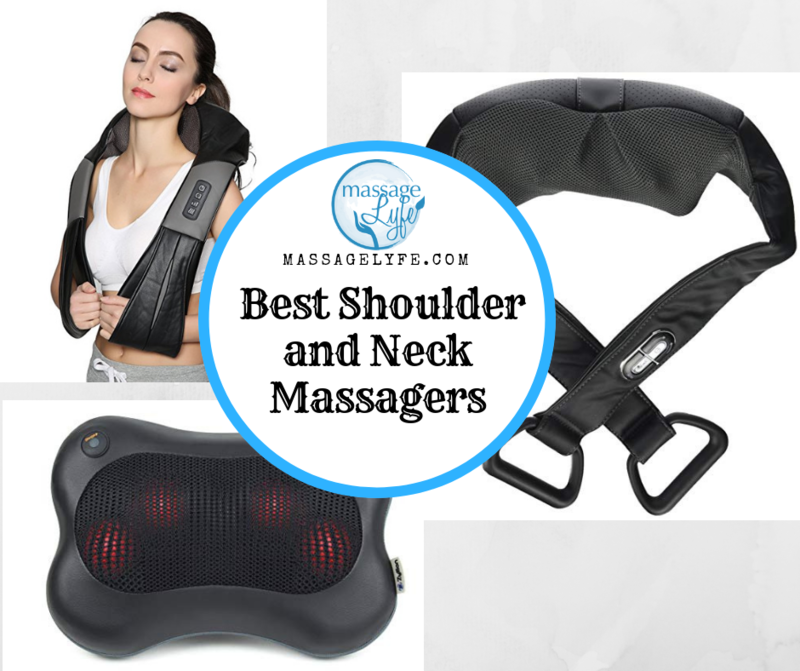 We did the research, the due diligence in finding out a perfect balance between relief and price of the massagers to give you a highly curated list of the best shoulder and neck massagers. Brookstone – as you may already know – is an internationally recognized massage product brand. 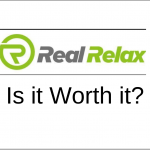 It’s no surprise that their neck and back massager is one of our top choices. This product is cordless and uses the popular massage style Shiatsu which is a circular motion to alleviate your body. It is basically a portable masseuse. The massager contains two sets of Shiatsu massage rollers contained in mesh that turn red when the heat is turned on. On both sides, there is a strap that measure 21 inches(or 53cm) with a plastic trapezoid shaped handle. The control panel is put on the left strap so that you can use your right hand to select between a handful of options. Total control of your massage. With the handles you can freely adjust the angle, the placement, and the strength of the massage. Although, it is a little more active because it requires more work. Using the control panel, you can select clockwise or counter clockwise rotation of the massage balls or automatic which will switch directions at intervals. Lithium-ion battery for untethered massage experience. The device stays on for about 1.5 hours with the heat on and 3 hours without heat when not connected to an outlet with the AC adapter. So it can stay portable for about a session or two. Brookstone’s customer service never responded to our emails and we’re not the only ones. We get it, they are a big name brand in business for quite a while. Quite a bummer if you want to resolve a problem with your massager. The plastic handles on the end of the straps are for your hands. This makes it difficult to adjust for different lengths of wingspans. Other neck and shoulder massagers have a sling so you can rest your forearms or hold it in different ways. Deep massage lovers will be disappointed because it’s not strong enough. If you apply too much pressure using the handles, the motors will struggle to turn. 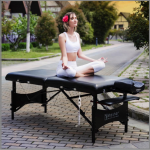 If you have a muscular build like one of our staffs, the massage is a bit light. One would think that with a business called ‘Nekteck’ that it obviously starting by selling neck massagers. Interestingly enough, they started by providing mobile phone accessories. In fact, neck massagers is only a small portion of the suite of products they offer (most of it is adapters, chargers, and phone accessories). Made out of faux leather, the unit is very comfortable to rest on any part of the body. The four buttons allow you to power it on, change speed and direction, and turn the heat on. The 8 Shiatsu massage heads rotate in circular fashion to give you the kneading experience. This massager is versatile which means it can be used on many parts of the body including the abs, upper thigh muscle, calves, and even your feet. The straps give you creativity to place it anywhere. We usually gauge the strengths of a massager by how much it protrudes through the mesh. Or simply put, how bumpy the part where the actual massage happens. It’s pretty bumpy and we recommend using a towel if you want to dampen the strength. The massager wouldn’t have to turn off after 15 minutes. The heat is hardly noticeable, just lukewarm. Zyllion is a familiar name – in a good way. 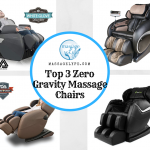 In our review of the massage chairs, their customer service responded right away when we asked them for more photos of their ZMA14 massage cushion. The pillow is made out of leatherette and is soft and easy to clean. 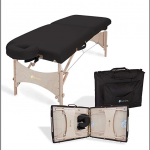 There are no straps or handles to pull on it to increase the pressure of the massage heads. At 3.5 inches thickness, the slim profile makes it easier to carry and store. There is one button on the unit and it’s pressed once to turn it on, again to keep it on without heat, and another to power it off. The pillow contains two sets of two massage balls that rotate in a circular fashion. Unfortunately, you cannot control when the directions change; it will automatically change directions every minute. The strength depends on how much you lean on the pillow and what you lean it against. The more rigid the surface is, the stronger the massage will be. In our tests, we found it more effective in upright positions such as a computer desk or a car seat rather than laying down on it. The contours of the pillow helps fit the crevice of the neck and other body parts nicely. The kryptonite of this massager is the durability of the mesh that contains the massage nodes. With force on both sides of the mesh, after about 6 months the mesh will rip, showing the white balls rollers beneath them. However, Zyllion is responsive to refunds and replacements.